The SEW Hang Gliding and Paragliding Club is one of the biggest and longest established clubs in the UK. We have access to sites within the Brecon Beacons National Park and regularly enjoy flying high over the highest peaks within this rugged and scenic region. The club is also committed to supporting local services and charities. The club raises money for the Welsh Air Ambulance, manages approximately 1000 acres of the SSSI on the Blorenge and organises litter picking events on the local hills. Please go to www.walesairambulance.com if you would like to do your bit for the Welsh Air Ambulance – you never know when you’re going to need them. Due to the requirements of the site landowners, generally the National Trust and Brecon Beacons National Park, some SEWHGPG Club sites are for MEMBERS ONLY, or for guests invited by the SEWHGPG Club Committee. All our MEMBERS ONLY sites are paid for by the club solely from member subscriptions. No training of any description, other than coaching of club members can take place on club sites without the prior consent of the SEWHGPG Club committee. South East Wales Hang Gliding and Paragliding Club members are strong believers in building a culture of excellence within the club through continuous learning and open discussion. We achieve this by hosting regular educational talks and social events, ranging from theoretical lectures given by our Club Coach in order to progress through the BHPA qualification system to more interest based talks such as progressing your XC career, flying with birds of prey, and many other free-flying related topics. 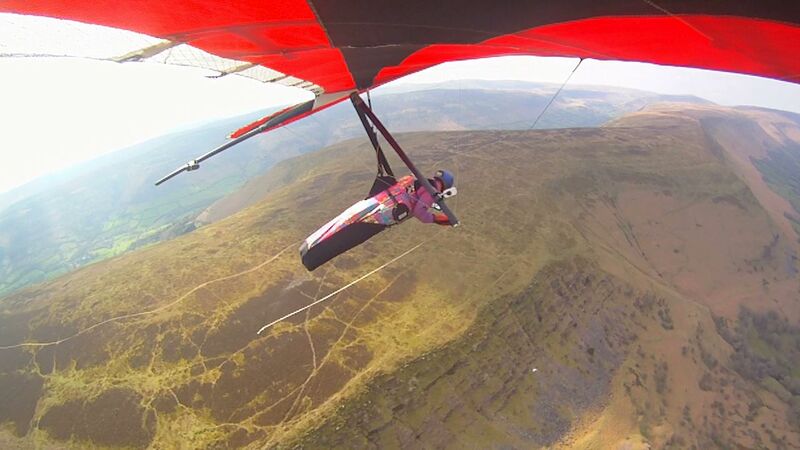 There are many reasons and benefits to joining the South East Wales Hang Gliding and Paragliding Club, we’re a jolly bunch, and we want to help you have the most fun possible, while staying safe and sound, but definitely not on the ground. We also keep everyone updated to where is flyable using our site report system which is live and time sensitive. You’ll know first-hand when to leave work early and head to the hill to get your airborne fix!